Over the past two weeks, Amy and I have been hard at work making our back office room into a more functional space (for the before, check out our practical minimalist house tour). And we’re finally ready to show you the new digs. We cleared everything out—including the giant white armoire that we took out in pieces—painted, built a DIY-hack using some IKEA furniture, set up our desks, and got more comfortable office chairs. There are still a few final touches, but we’re really happy with how it’s turned out. Hope you enjoy the office tour! The reason we did all this was because of the super secret project I mentioned earlier. Although, apparently it wasn’t all that secret as several people already guessed correctly. We are starting a podcast. The Break the Twitch podcast is on minimizing distractions and doing more of what matters through minimalism, habits and creativity. As attention becomes more and more of a commodity, intentionality becomes crucial. Each week during the podcast season, I’ll be sharing conversations with humans from all walks of life on ways to minimize distractions, build habits and do more of what matters. There have been more than a few asks and mentions on my starting a podcast throughout the years. A podcast was only a matter of time. But what I’m most excited about is sharing the process of launching this new project with you—the steps I’m taking, the challenges and common questions. If you’re interested, check out considerations we thought about as we started the podcast and the tools we used to launch the podcast. Running the podcast, YouTube channel and this website wouldn’t be possible if it weren’t for the Break the Twitch Member Community. The Member Community is a way for you to support our work, but also get brand new audio courses each month, private live stream Q&A sessions and access to a member-only community forum. We’re thankful for the members who make our work on Break the Twitch possible, while we continue creating meaningful, helpful content. 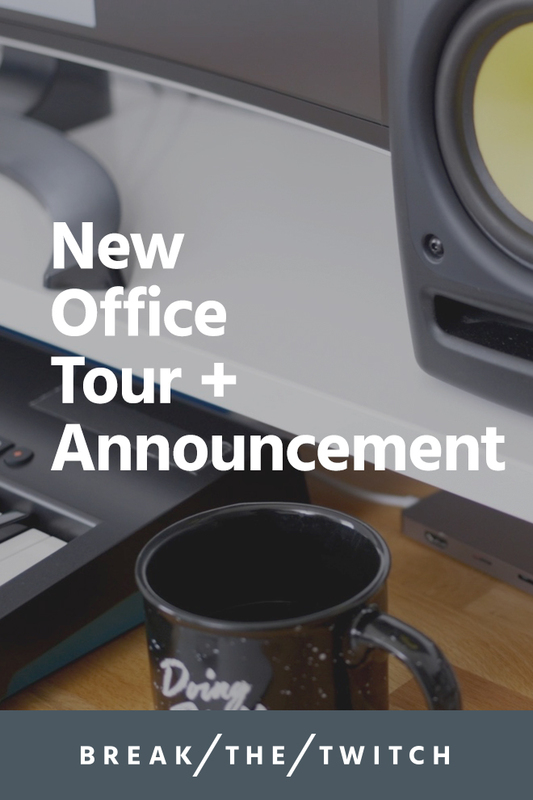 Hey Buddy!, I found this information for you: "New Office Tour & Upcoming New Project". Here is the website link: https://www.breakthetwitch.com/office-tour/. Thank you.